Go to a free website hosting company and sign up for a site. Or use the account you might already have to add another website. Make sure you link the website to your vps ip adress. Go to your terminal. Log out as root. Log in as newuser and open Midnight Commander. The Apache web server is the most popular way of serving web content on the internet. Each domain that is configured will direct the visitor to a specific directory holding that site’s information, never indicating that the same server is also responsible for other sites. Now copy the confguration from an existing site to your new site. Now you need to enable the virtual host files. You can download the Ubuntu iso file directly from the ubuntu website and save it to your computer. Go to http://releases.ubuntu.com. Choose for the LTS release, which stands for Long Term Support. Download the iso file of the Ubuntu release and save it to your computer. First you will have to format your usb stick. You can use the disk utility (installed by default) to format the drive.Search for the application Disks on your computer and start the application. There are several programs you could use to create a bootable usb stick with ubuntu on it. You could use for example Startup Disk Creator, UNetbootin or rufus. To install Ubuntu on my desktop I chose for Startup Disk Creator. After opening the application, select the iso-file you just dowloaded and create a bootable usb-stick. Newer computers allow you to enter the BIOS setup pressing one of the keys shown below during the boot process. Go to the boot menu and set the boot order on USB. You should see a welcome screen asking you to choose your language and giving you the option to install Ubuntu or try it from the USB stick. Select Download updates while installing Ubuntu. Select and Install third-party software for graphics and WIFI-hardware, Flash, MP3 and other media. If you are not connected to the internet, you will be asked to select a wireless network, so connect during the installation. Select your preferred keyboard layout. If you’re not sure, click the ’Detect Keyboard Layout’ button for help. Step 1 – register a domain name. Uncomment the ServerName directive, which contains the base domain that should match for this virtual host definition. This will most likely be your domain. Now that we have created our virtual host file, we must enable it. Apache includes some tools that allow us to do this. Step 2 – Add a new user to the system. Step 3 – Now logout of the system. Now you log in again , but as the newly created user. Open Midnight commander and create a directory public_html. 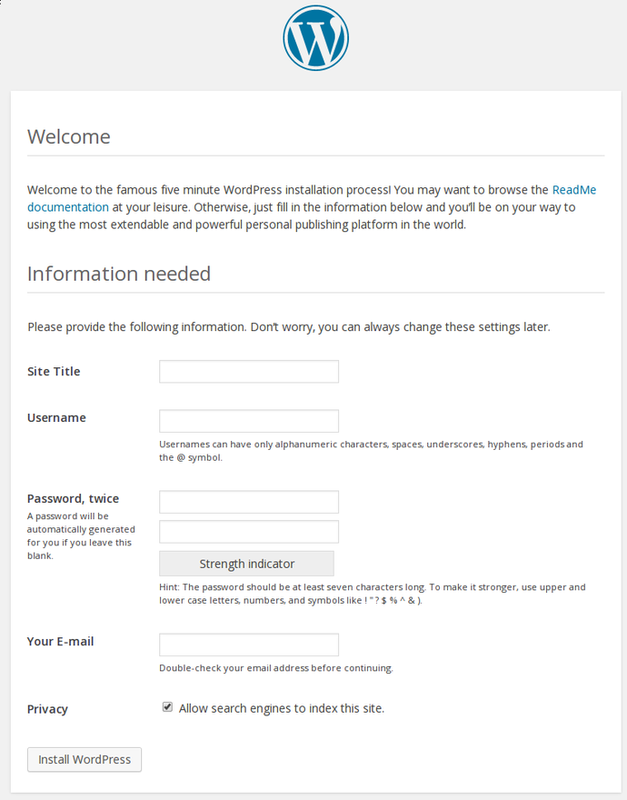 This is where you can put for example your wordpress site. Now you have to give your new user administrator rights. Now log back in with your main username. Now login with the username you just created. Now test out if the sudo command is working under your new username. Make sure you have a folder called public_html, your webserver’s document root. You can create a folder like this using Midnight Commander. In case it’s not there. Login as root using your mysql root password. Click on wordpress and go to export. Maybe it would be wise to start with custom. But I chose for the lazy quick option. Choose sql under format (the default value) and click on the Go button. It will ask you now to save the file as an sql file. This sql file is the back up of your word press databases. Click on it and go to export. But I chose for the quick option again. Choose sql under format (the default value) and click on the Go button. It will ask you now to save the file as an sql file. Make sure that on the left side you can see what is on your actual pc, while on the right side your vps is shown. 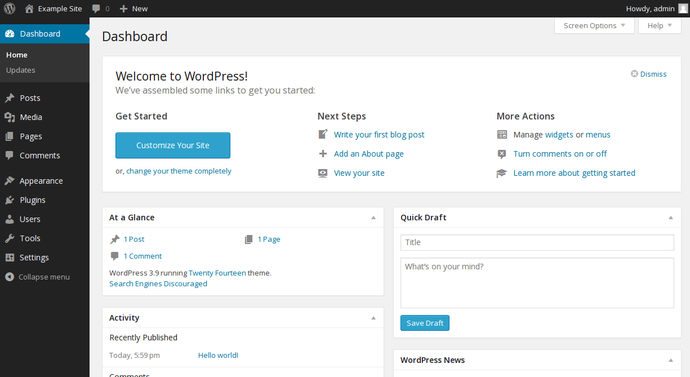 Now we have to copy all wordpress files from your vps to for example the desktop of your actual pc. Select all files under the user directory you previously created in /home/username/public_html. Click on the logo to see the mainpage. Choose a user name and select the option local under Host. Then type in a pass word. Select Create database with same name and grant all privileges . Don’t touch global privileges. 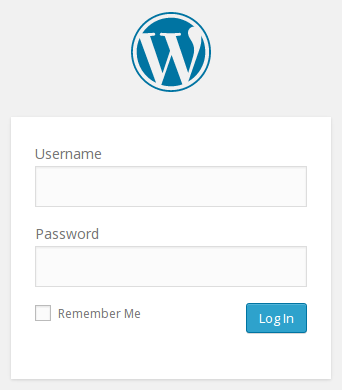 Now select the database wordpress you just created on the left side by clicking it once. Select your wordpress sql file on your pc and click on go. Download the actual WordPress files from the project’s website. If you want your first page to be your wordpress home page, you will first need to copy all files in the directory wordpress to your public_html directory of your username. You can use midnight commander. 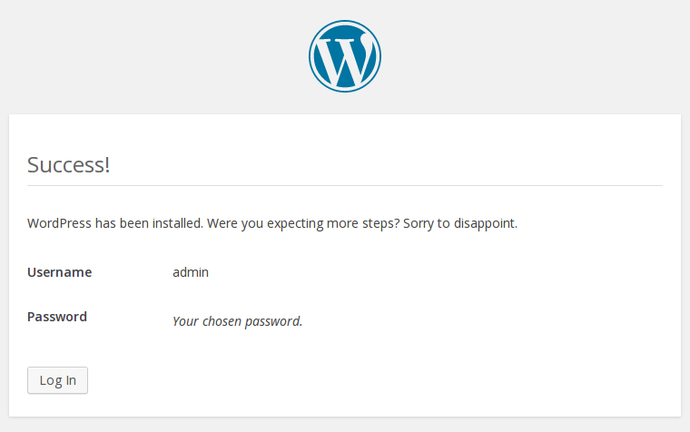 Whjen you have done this, you can just delete the wordpress directory in midnight commander. This manual explains how you can serve web pages from out your ‘home user directories’. Not only is this safer, it is also easier to add or delete websites. Now you can create a directory called ‘public_html’ and serve your webpages to the world from there. This you can do using the mkdir command or by using mc. An easy way to work with mysql is through a GUI (Graphical User Interface), like the application PHPMyAdmin. Next it will ask configure database for phpmyadmin with dbconfig-common? answer yes here. Then it will ask the password for the mysql administrator user, use the mysql-password which you earlier specified during the installation of the LAMP-server here. We should be greeted with the login screen of phpmyadmin, and you can now login as root, with your mysql administration password of earlier, to create and manage your databases. You can use your VPS to create websites, fora, run an IRC server and so on. You will notice the hosting company has a client area where you can login with your client name and password and a user area. Here you can create a VPS. Under the section cd-rom choose for Ubuntu Server 14.04 LTS. Now mount it by clicking the mount button. Then you reboot your vps.Just click on the reboot button. As you can see you can reboot your vps , shut it down, boot it or reinstall it. Go to the VNC viewer your hosting company uses to make a remote desktop connection with your VPS. I chose for the java script based vnc client. I chose for the last one because the other two options didn’t work. When you see the text Ubuntu 14.04 you hit F3 to enter the key map. Then choose for ‘Install Ubuntu Server’. Now you will be asked a couple of questions that have to do with the installation language , your location and others. After these questions are answered things like the name of your VPS and your user name and password will be asked. Now you will be asked to partition your hard drive . Make sure that you don’t install your operating system next to previously used operating systems. Choose for the manual partitioning of your hard drive. First remove all visible partitions by highlighting them , enter and then choose for deleting the partition. Now go to the free space, and create a new partition of for example 50 Gb. Type for the new partition primary. Change bootable flag to ‘on’. Go to done setting up the partition. Now you will have to create a new partition on what is leftover after using the 50 Gb of this example for the primary (root- / ) partition. You will save this partition as swap partition. Choose for done setting up the partition. Check the overview of your current partitions. You should have a root partition now and a swap partition.Choose for finish partitions and save changes to disk. You will now be asked how you want to manage security upgrades of your system. Now you will be asked what you want to add to the core of your system. Make sure you choose for openSSH and LAMP . Use the space bar to select them. GRUB is a boot program of Linux. (Lilo is another one, but is older and has less options) GRUB makes you boot your version of linux. Finish the installation. Now you will automatically be redirected to the installation menu. Don’t forget to unmount your chosen version of Ubuntu 14.04, which is basically the same as making your pc throw the installation disk out. You do this in the user control panel of your VPS. Now your system will need a reboot. So click on the reboot button of your VPS. Now you can login to your VPS through the terminal. After that you press ctrl+x to save it as ‘info.php’ and exit. When you now visit http://localhost/info.php , you should be presented with a nice information page about your current php installation and setup. NOOBS (New Out Of the Box Software) is an easy operating system install manager for the Raspberry Pi. First remove all other hardware from you computer. Open Synaptic and search for Gparted.This is a program to edit partitions with. Remove all partitions on your SD card. Make a new partition and save it in fat32 format. You don’t have to change anything, just use the default settings for your version of ubuntu. Once your SD card has been formatted, unzip the NOOBS file and extract it. Copy all the files in the extracted NOOBS folder and paste them into the SD card drive.Remove the SD card and insert it into your Raspberry Pi. Your Raspberry Pi will boot, and a window will appear with a list of different operating systems that you can install. Choose fe Raspbian and click on Install. The default login for Raspbian is username pi with the password raspberry. Note you will not see any writing appear when you type the password. This is a security feature in Linux. Make sure a LAMP stack was installed while installing your vps. First create a directory called forum in the folder public_html with mc. Now open this new directory. Use the program wget to download from the internet the latest version of SMF. The latest current version is 2.0.8 at the time of writing. Make sure you check the latest version. Now remove the installation file with the command rm (remove). Step 2 – Go through the steps of the Installer. Once the SMF files have been extracted and permissions changed, navigate to the directory forum in your web browser. Now go back to the smf installer. Continue. These are the settings to use for your database server. If you don’t know the values, you should ask your host what they are. This is nearly always localhost – so if you don’t know, try localhost. Fill in the username you need to connect to your database here. If you don’t know what it is, try the username of your ftp account, most of the time they are the same. Here, put the password you need to connect to your database. If you don’t know this, you should try the password to your ftp account. Fill in the name of the database you want to use for SMF to store its data in. If this database does not exist, this installer will try to create it. The prefix for every table in the database. Do not install two forums with the same prefix! This value allows for multiple installations in one database. This page requires you to define a few key settings for your forum. SMF has automatically detected key settings for you. This is the name of your forum, ie. “The Testing Forum”. This is the URL to your forum without the trailing ‘/’!. In most cases, you can leave the default value in this box alone – it is usually right. Gzip Output: Compress output to save bandwidth. This function does not work properly on all servers, but can save you a lot of bandwidth. Database Sessions: Use the database for sessions instead of using files. This feature is almost always for the best, as it makes sessions more dependable. This feature lets both the database and the forum use an international character set, UTF-8. This can be useful when working with multiple languages that use different character sets. If enabled, this will allow Simple Machines to visit your site once a month to collect basic statistics. This will help us make decisions as to which configurations to optimize the software for. For more information please visit our info page. The installer will now create a new administrator account for you. Choose the name you want to login with. This can’t be changed later, but your display name can be. Fill in your preferred password here, and remember it well! Provide your email address as well. This must be a valid email address. The installer requires that you supply the database password to create an administrator account, for security reasons.